nstructor ANANDAH CARTER opens up about why she took a break from sweets and how it affected her health and energy. No sugar for 10 days? What inspired you to do the detox? 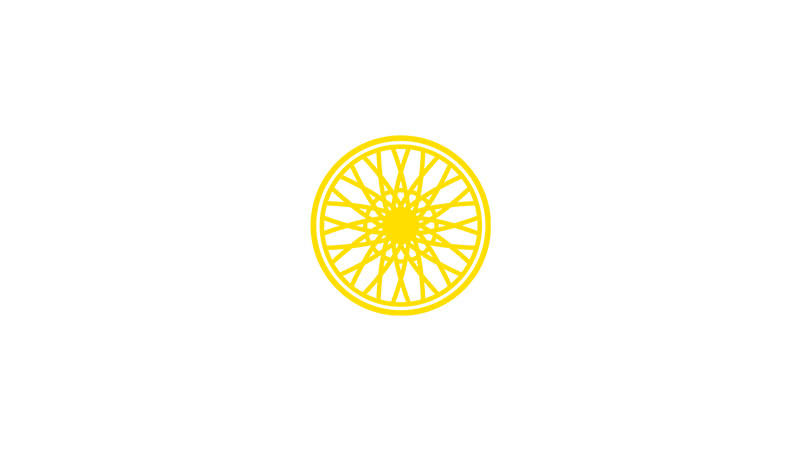 I was inspired by SoulCycle rider and health coach Tracey Levy. We actually met on Instagram waaaayyy before she started taking my class. I love French fries and her Instagram handle is @kalewithasideoffries. So I was like, "This woman is right up my alley." Then several months after we started following each other Instagram, she showed up in my class and that was the first time we ever met in person! I believe everything DOES happen for a reason. Sometimes what the reason is takes time to reveal itself, but nevertheless, eventually it does. Then when I saw her post about her sugar detox, I was like, "It's a sign!" I'm not a glutton for punishment, BUT I am always looking for a new challenge. What’s Tracey’s take philosophy on why you need a sugar detox? Here’s what she says: "Sugar addiction is real — it’s not really your fault that you can’t stop eating that bag of candy! - and it impacts our health in so many different ways. As a certified health and wellness coach, I set out to create a program to help my clients break their dependence on sugar and developed the Sugar Jam 10-Day Challenge. My goal is simple: to teach men and women all about “hidden sugars” so that they can take back control of their eating habits and choose exactly when and how they want sugar in their lives. 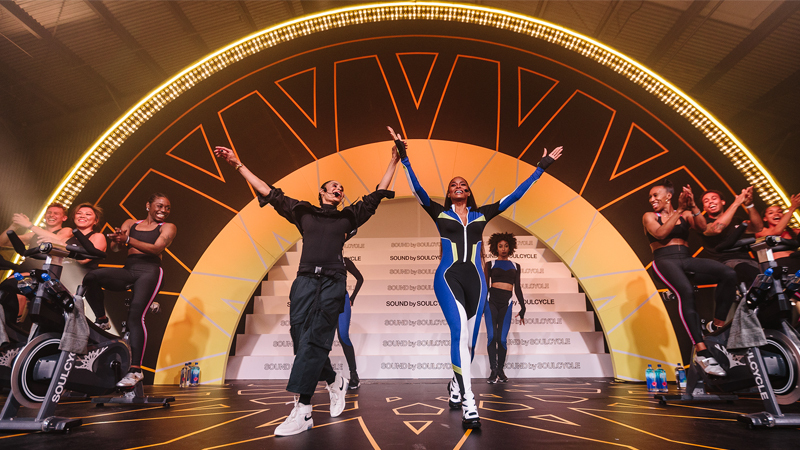 In just a week and a half, people who participate in the program will sleep better, feel more energized and productive during the day, and, yes, lose a few pounds. (While this program won't focus on weight loss, it's certainly a nice perk!) Don’t worry, you don’t have to cut all of your favorite sweets forever, but you’ll definitely look at them differently after breaking that nasty sugar habit!" TRUTH BE TOLD: I thought the challenge was three days and NOT 10. Seriously. I talked about this in class. I saw "Sugar Challenge" and "3 Days.” LOL. Ummmm, yeah, piece of cake, no sugar for three days. Until after I publicly agreed to do it, I then read the fine print and saw "10 Days". OMG. 10 days. I'm not a candy person, but I am a chocolate person. Every day I eat chocolate without fail aaaand I look forward to it. But sometimes my dedicated chocolate eating can snowball into unconscious eating. Having weighed over 207 pounds before, and not for medical reasons, I know A LOT about stress eating and eating unconsciously. I KNEW I could use a reset from a current pattern. And I was like, "If Tracey can pop into my class after knowing each other from Insta, I can do this Sugar Detox and share my experience with it in class." 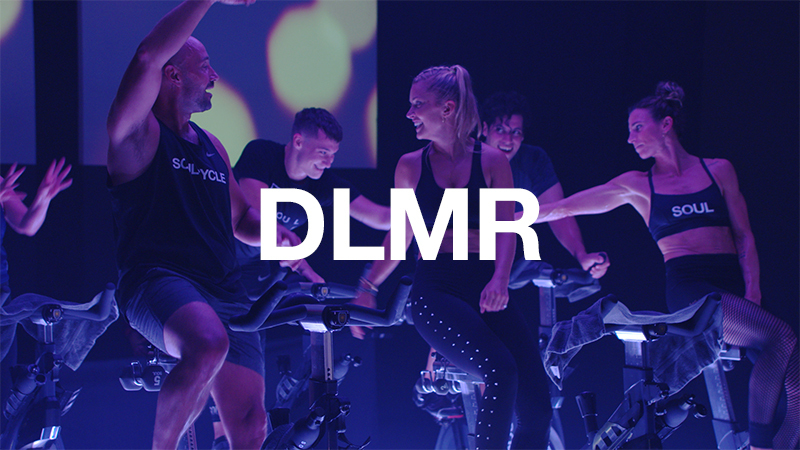 Community building at SoulCycle through a shared experience. Be honest: How was it? Day 1 and 2: It was awful. So awful. I was uncomfortable and more emotional than my usual self. I only thought about eating chocolate. Nothing I ate tasted quite right. And I was used to eating chocolate as part of my daily routine, so I found myself hungrier than usual. Were you allowed to have fruit? I did eat fruit during the Detox. I teach anywhere from nine to 15 classes/week, and I ride them all, so yes, fruit was necessary. One day I ate five bananas because they are high in sugar and I was craving sugar. (I told you I would be honest.) But along with no refined sugar, I also cut out stevia. I don't eat agave, honey or maple syrup so that wasn't an issue. How was it after you got through the beginning? Days 3 - 8: These days were amazing. Aaaaamaaaazzzing. Almost euphoric. I am a naturally energetic person, but my energy was endless and clear. I didn't have any slumps during the day. I meditate daily, and my meditation was deeper. My nightly sleep was awesome. I woke up every morning feeling refreshed and renewed. I got so much done every day without feeling tired or cranky. 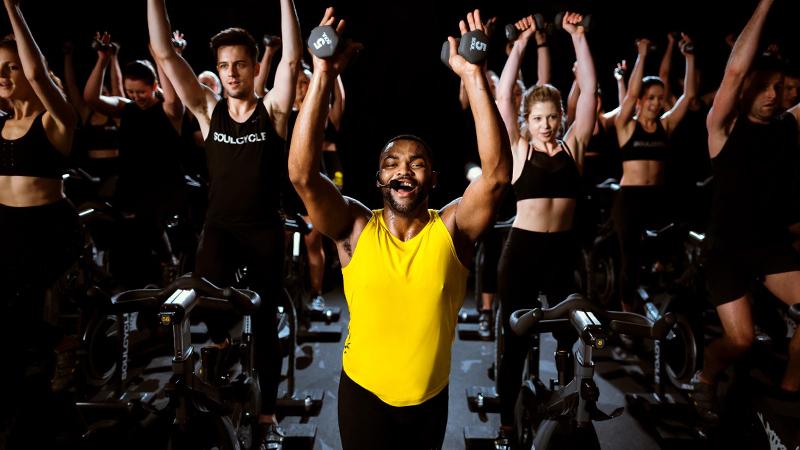 I love, love, love my job at SoulCycle more than you can imagine. One of the biggest shockers was how quickly I recovered physically from teaching. I could teach doubles and triples and feel a deep sense of energy physically, mentally and emotionally through every class. I'd wake up in the morning, not just ready, but MORE than ready to go again. Determination and the belief that I could do it. Oh yeah, and no eating sugar, no matter what. But all other foods were totally fine. Like French fries. My favorite. So I was happy. I'd also have to plan a little ahead what I'd eat during the times I'd crave sugar. I'd have a big bag of grapes ready in my fridge, strawberries, raspberries ready to grab. Between 3:00 PM and 5:00 PM was really, really hard. I wanted to reach for something sweet. During days 3 through 8, fruit was totally satisfying and tasted incredible. The other hard part was when Tivon, my 7-year-old son, wanted me to get ice cream with him and I had to say I couldn't. And he's an inquisitive kid so of course he asked me why. I explained it to him and he seemed to get it. I was like "Hmmmm, imagine no screen time for 10 days." Now I feel great. BUT after the detox, sugar was my primary food group for four days. Ok, not my primary, but my sugar eating was real. I know that sounds awful, but for me to experience for the first time, how affected I am by sugar was crucial. And adding it back after the detox, I could literally feel it in my entire body. I am infinitely more conscious about what sugar I pick up to eat and when I pick it up. I have also started doing my own mini-detoxes. One to three days/week with no refined sugar at all. Any advice for someone who wants to try one? Try it. Tryyyy it!! I highly, highly recommend it. Tracey is leading another one beginning Monday, June 5th. Join me? Thank you, Tracey, for the inspiration, and your sense of community in and outside of the studio! I am 100% sure I will do it again! 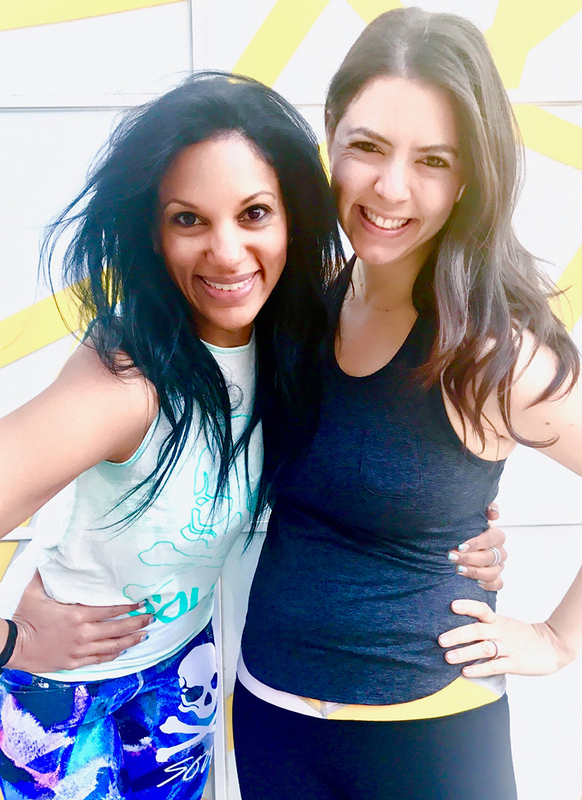 Catch classes with ANANDAH at East 63rd Street, West 77th Street and East 83rd Street? Want to ride? Click HERE to grab a series and book a bike!